1. Why is MARTA releasing the Bus Real-Time Data? We want to share MARTA’s data with others to give them an opportunity to develop custom web and mobile applications. 2. Will you be able to provide technical support? Unfortunately, we will only be able to provide limited support. Email us with any issues or enhancements you would like to see in the web service. 3. What does “adherence” mean in the web service? The Adherence tells whether the bus is on time, early or late. 4. What are your plans for future development? 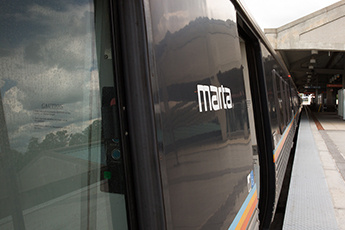 The MARTA Web Development Group is in the process of deploying various mobile apps in the future which will assist our customers in their daily commute. 5. How do I get updates on the latest developments? 6. Why isn’t my FAQ on this list? Drop us an email if you think everyone will benefit from your question!